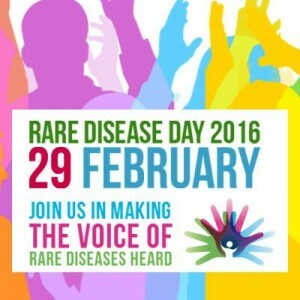 Rare Disease Day | Dr. Justin Imel, Sr.
February 29. The rarest of all days. It doesn’t matter if it’s leap year or not, the last day of February is always the rarest of all days in the year – the only 28th day of a month that ends a month. Because this is the rarest of all days, this is Rare Disease Day, a day to shine the spotlight on diseases most people have never even heard of and most of us cannot pronounce but diseases which affect our fellow man made in the likeness and image of Almighty God. Two years ago on Rare Disease Day, I learned that I have a fairly rare disease: Generalized Dystonia. A gentleman at the gym yesterday asked me about my disability, and I told him I had generalized dystonia. David said, “Justin, I’ve never heard of that.” My response? “I never heard of it until I was diagnosed.” That’s true – I have had dystonia from the moment I was conceived in my mother’s womb, but I had never even heard of the disorder. And, I must say that I find a poetic irony in the fact I learned about generalized dystonia on Rare Disease Day. You can read about generalized dystonia here. I have various symptoms: my legs jerk involuntarily (always an eerie sensation), I can hardly shuffle my feet most days, I cannot sit more than 25 minutes without excruciating pain (I can sit a tad bit longer if my legs are elevated), I cannot stand more than 5 minutes at a time, my bladder won’t let me sit through an entire TV program, and my pain level varies from tolerable to excruciating. Thanks to dystonia, I know several doctors. Every time I fill up my car, I have many Kroger fuel points thanks to using the Kroger pharmacy to fill my many prescriptions. I’m thankful that Rare Disease Day highlights ongoing efforts to find cures for my disorder and other disorders which plague only a few people in the world. I pray that one day a cure will be found. But whether or not a cure is found in my lifetime, I’ll trust God and put my hand in His and walk closely with Him! This entry was posted in Christian living, Deep Brain Stimulation, Doctor, Dystonia, Faith, genetic, Health care, Hope, medical test, Mental Illness, neurologist, Pain, Rare Disease Day, walk, walking. Bookmark the permalink.